"It is ignorant and superstitious to believe that God made everything out of nothing." 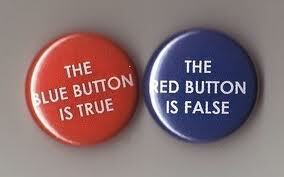 The contradiction = It is rational and scientific to believe that nothing made everything out of nothing. "It is ignorant and superstitious to believe that God is eternal." The contradiction = It is rational and scientific to believe that matter (or energy) is eternal. "God is an effect and must have had a cause." The contradiction = Matter/energy is the uncaused first cause. "If God made everything, then who made God?" The contradiction = Matter made everything and nothing made matter.